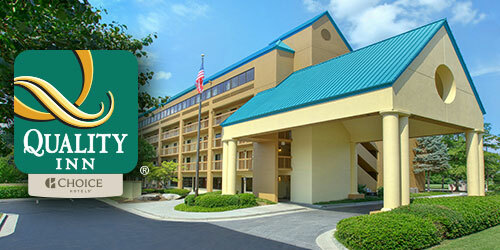 Make the most of your family’s Smoky Mountain vacation by checking in at the Quality Inn Pigeon Forge on the parkway. This 200-room Pigeon Forge hotel offers an expansive list of amenities sure to please even the most discriminating guests. The hotel’s recently renovated rooms feature premium luxury bedding and Serta mattresses, promising a comfortable spot to kick back and relax. A complimentary breakfast bar features East Tennessee favorites like biscuits and gravy each morning, and other amenities to be enjoyed here include large flat-screen TVs, free wireless Internet and a location central to all of Pigeon Forge’s best attractions.